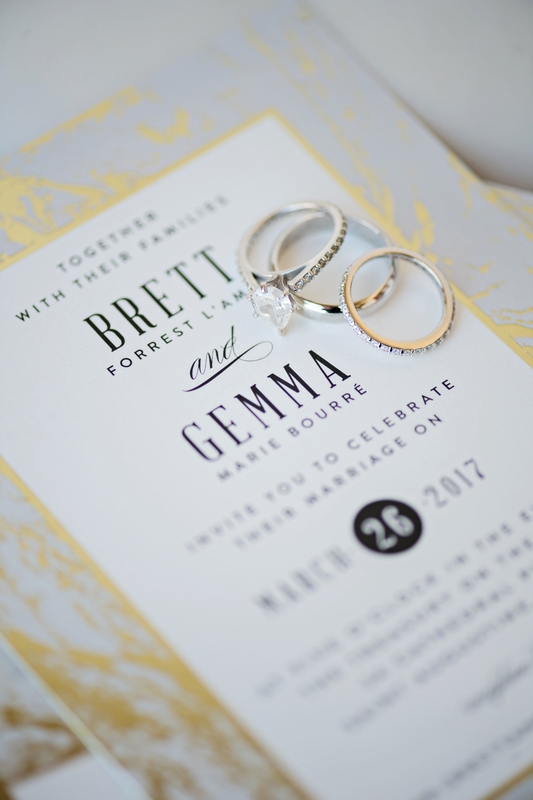 Gemma, who is an amazing makeup artist, met Brett through mutual friends. 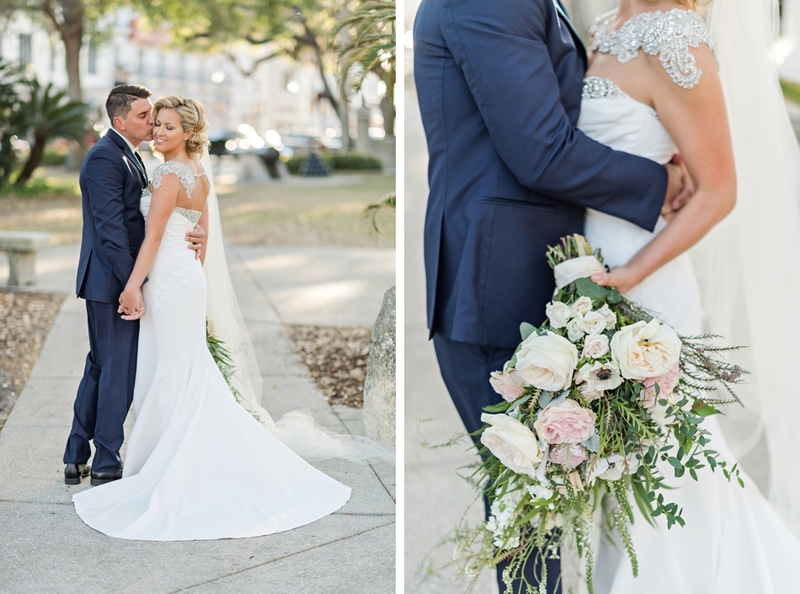 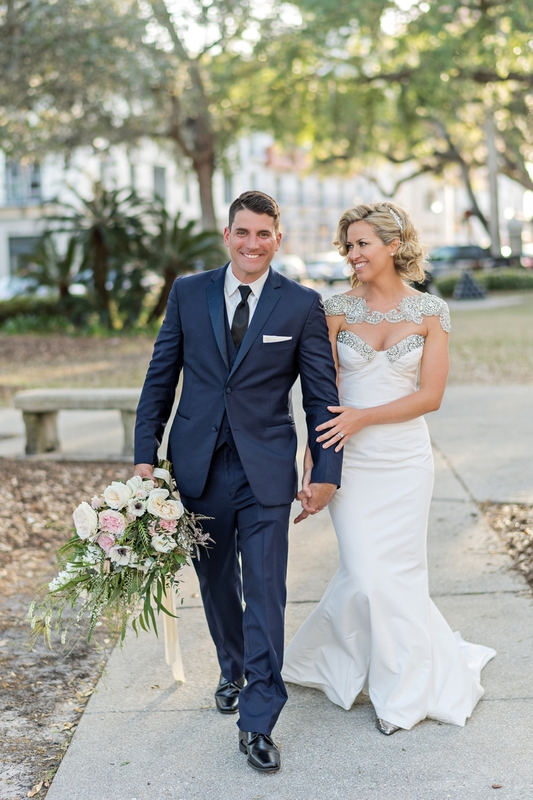 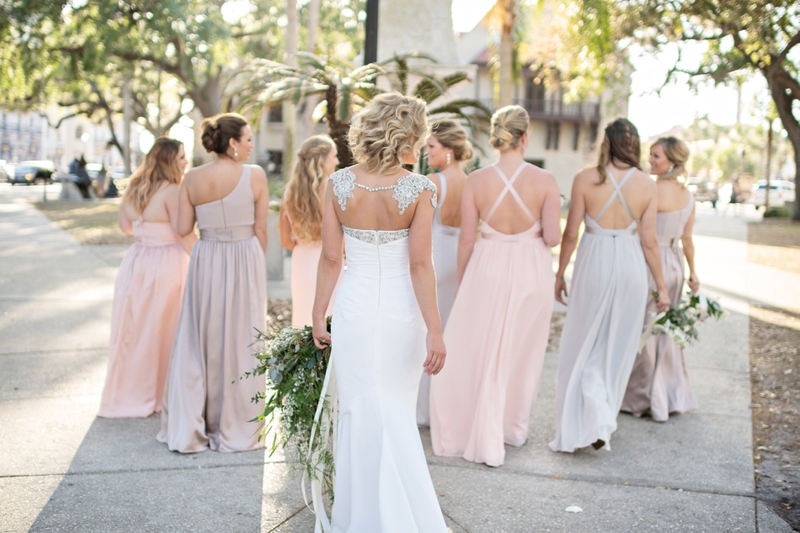 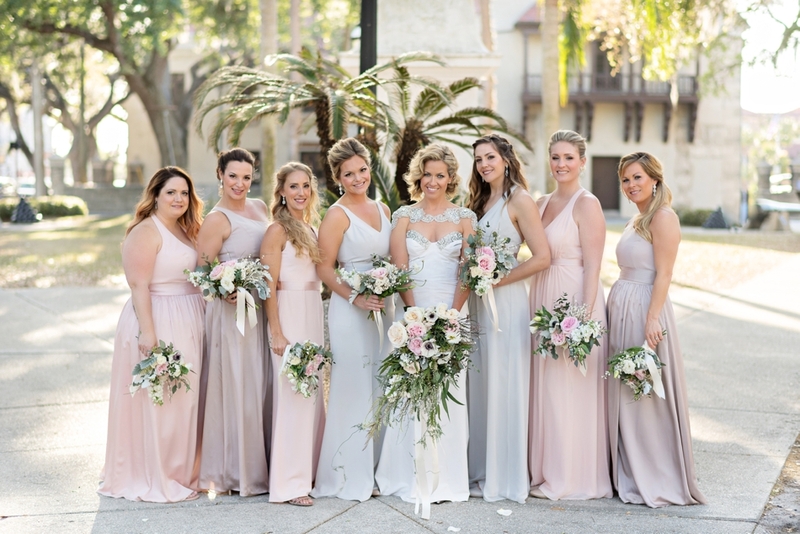 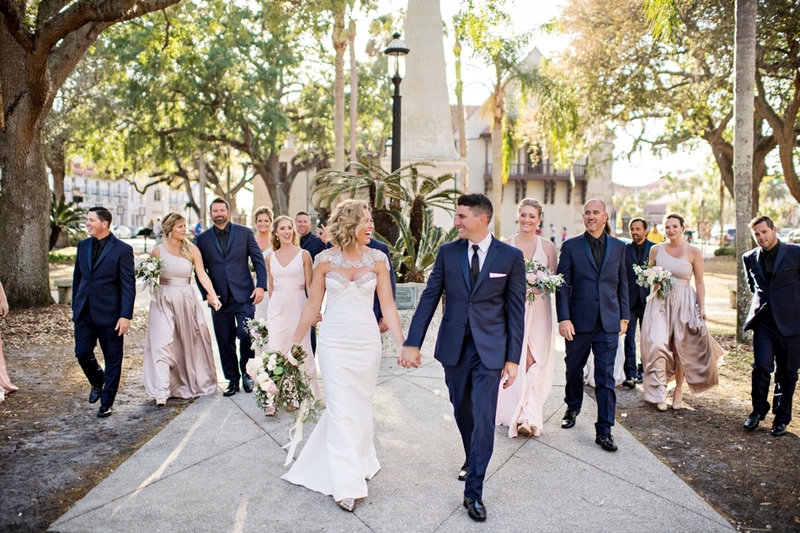 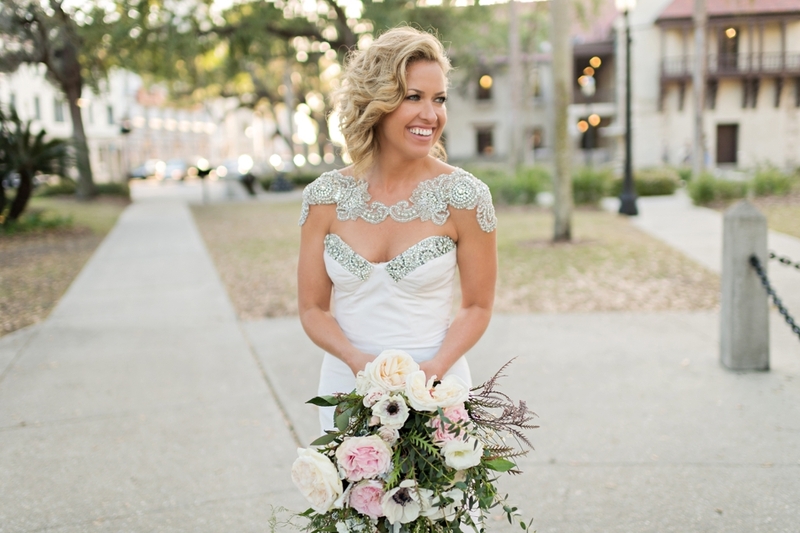 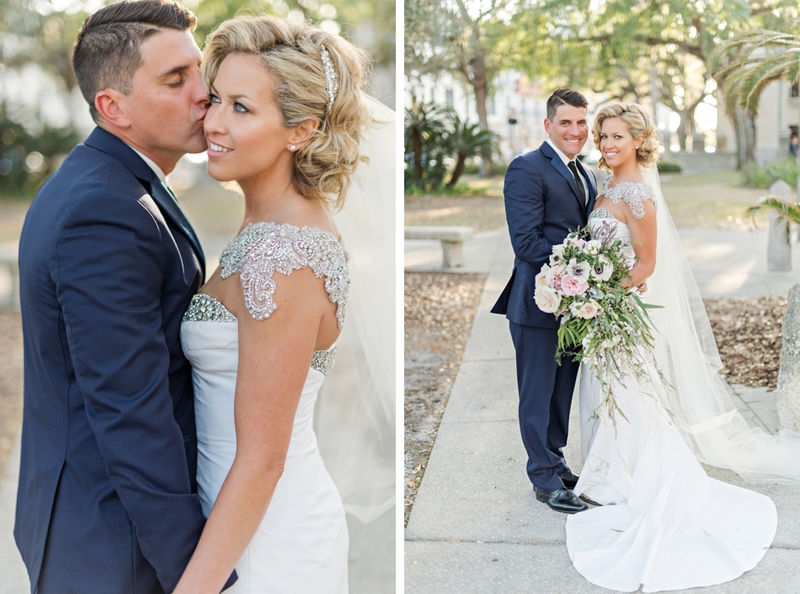 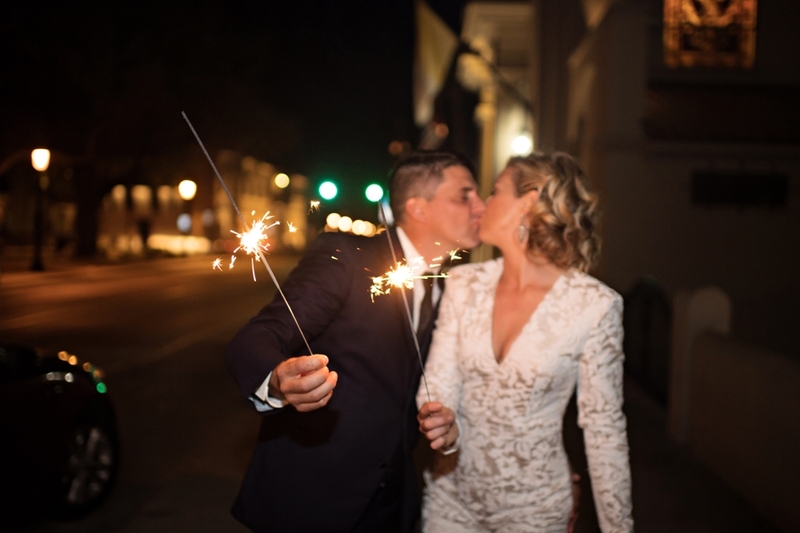 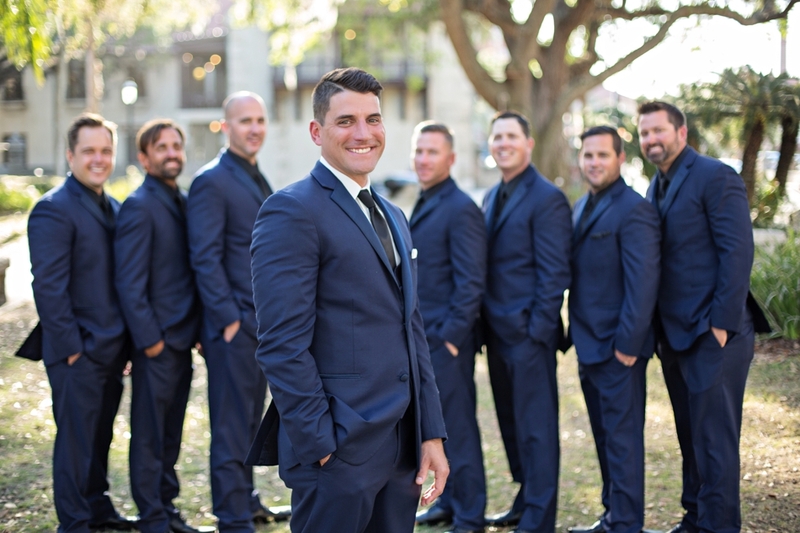 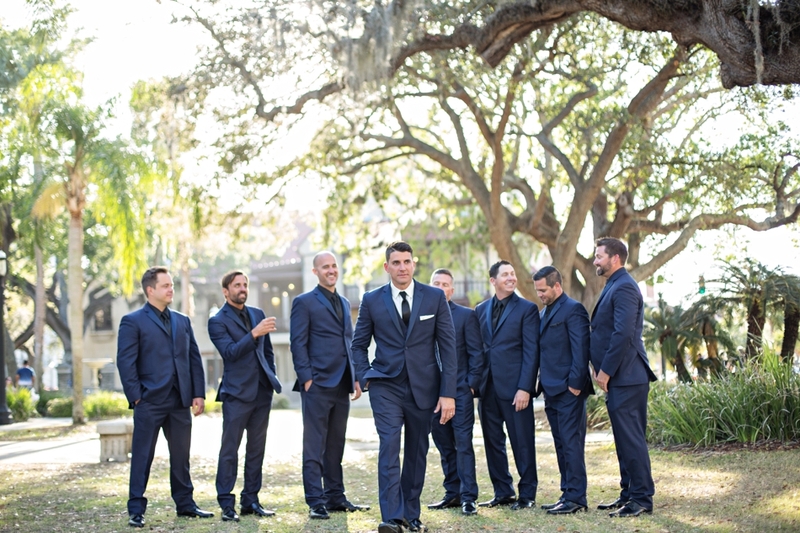 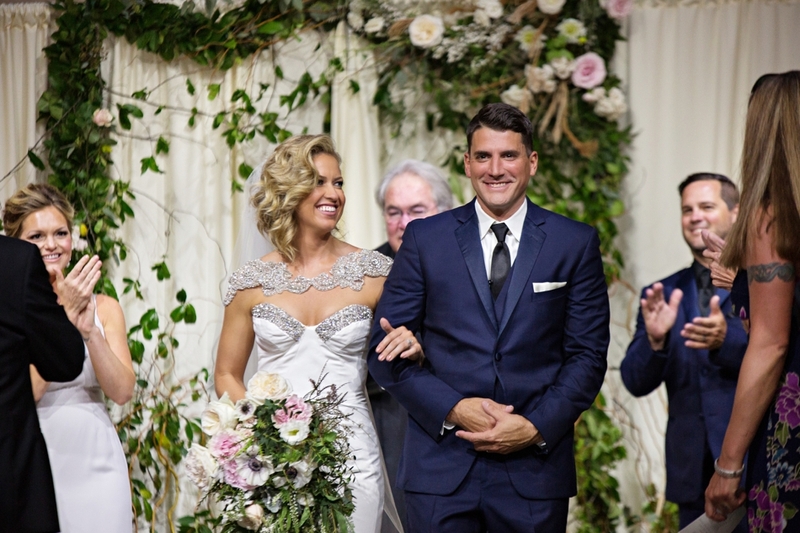 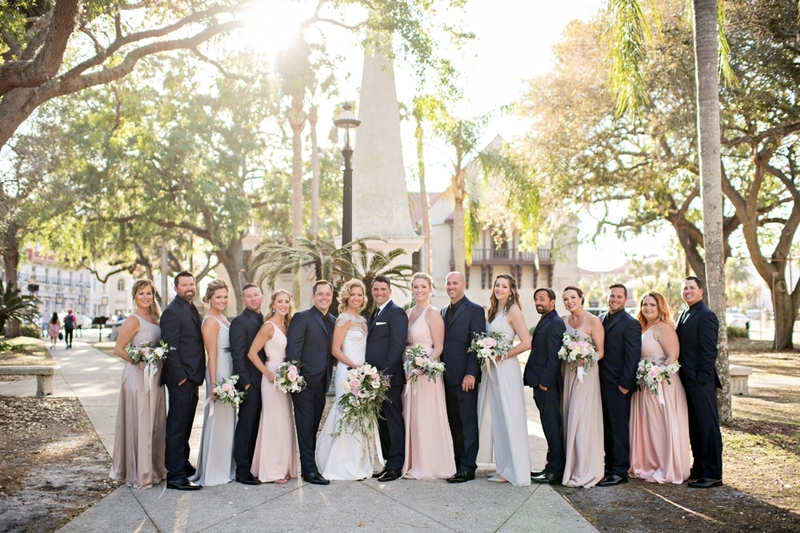 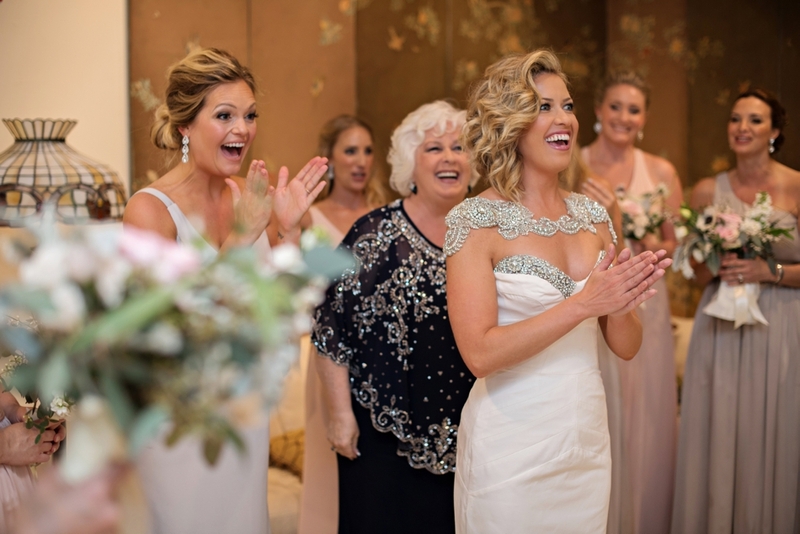 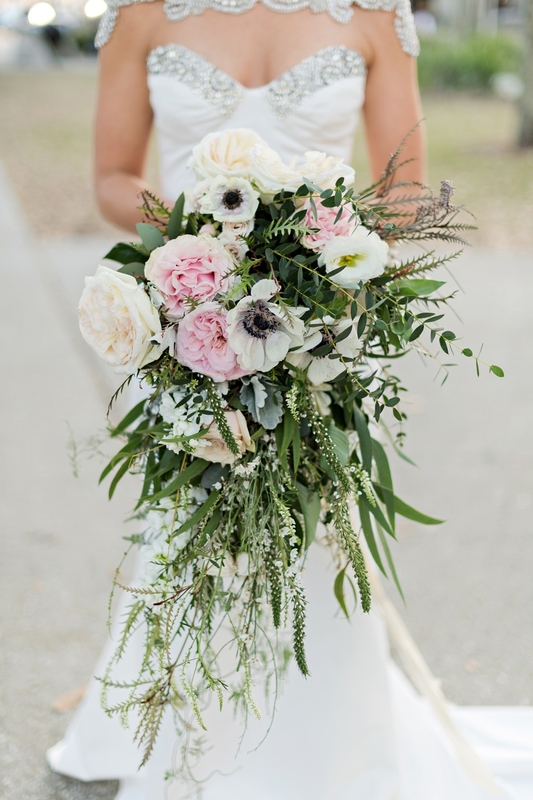 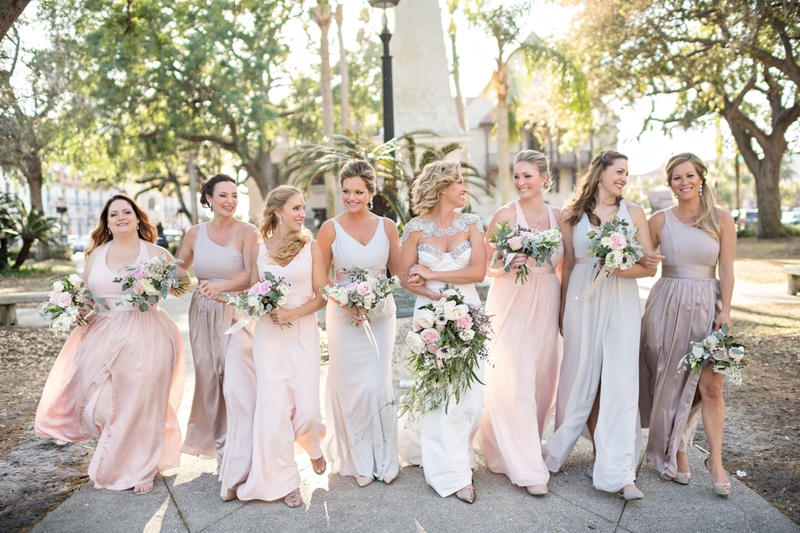 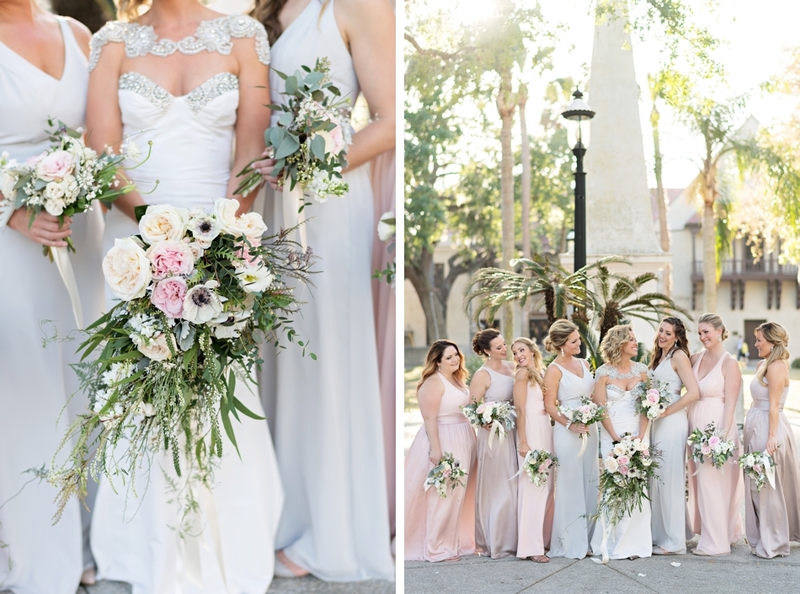 She describes it as “an instant undeniable connection” – which led them to joining together officially at their Treasury on the Plaza wedding in St. Augustine, Florida! 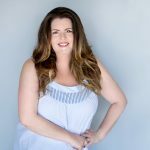 I’ve known Gemma for years – since my fashion photography days when we got to work on creative shoots together! 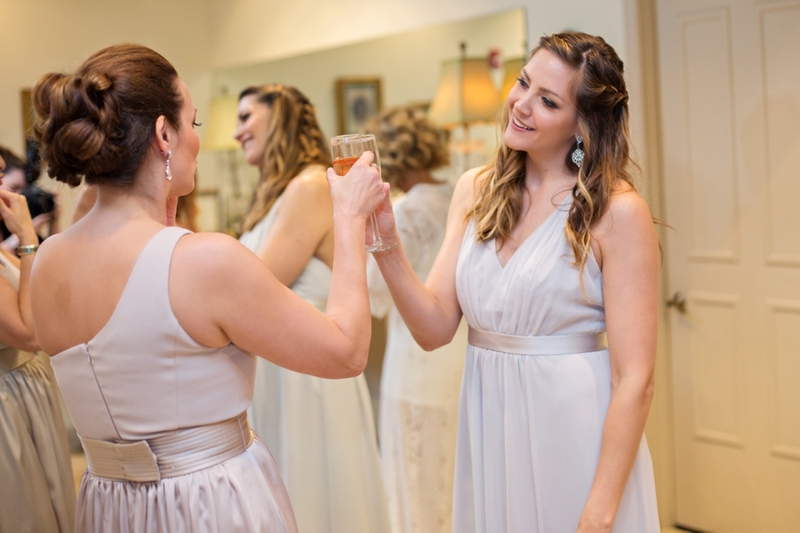 I originally met her through my friend, Nicole Beth (who I should probably give some sort of stake in my business for all the friends and family of hers I’ve photographed!). 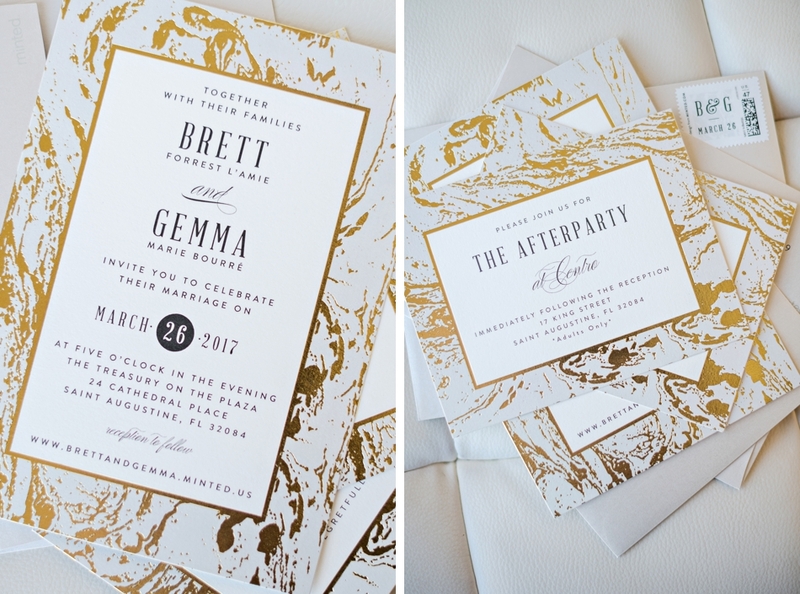 The three of us are a match made in photo shoot heaven – and so I’ve LOVED getting to work with them as a creative team – and now for Gemma’s wedding day! 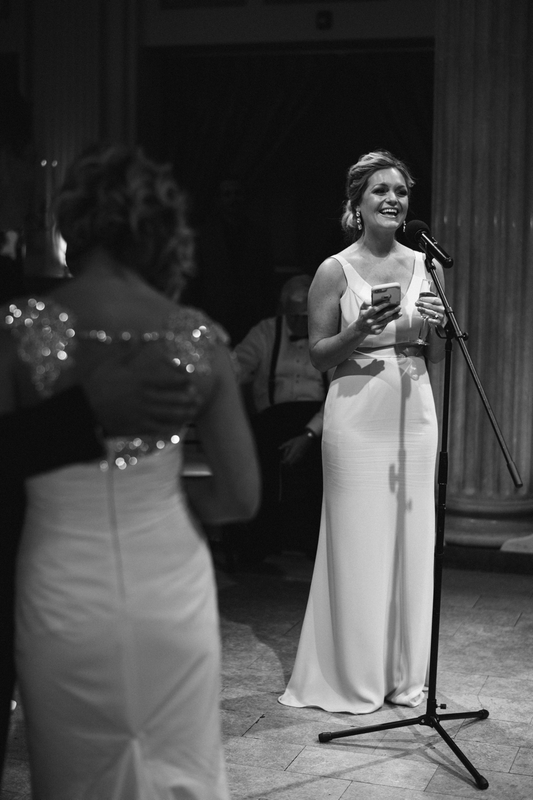 Honestly, that’s as good as a testimonial as I could ever hope for from a bride! 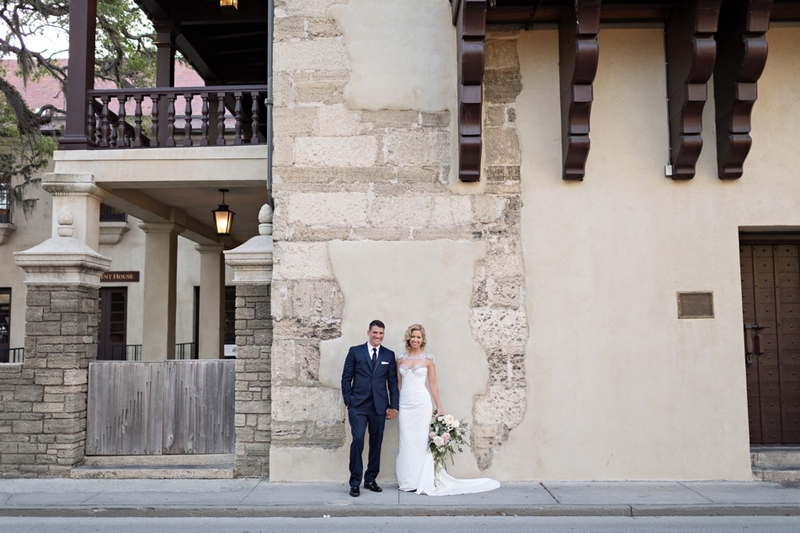 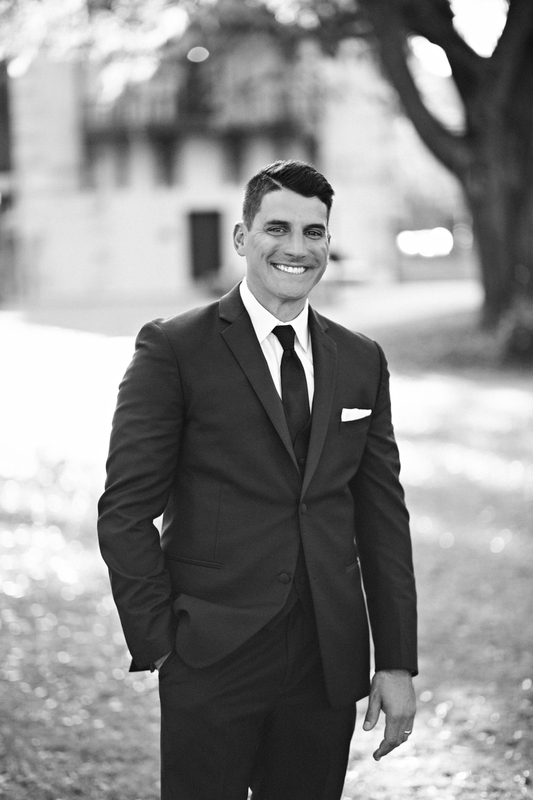 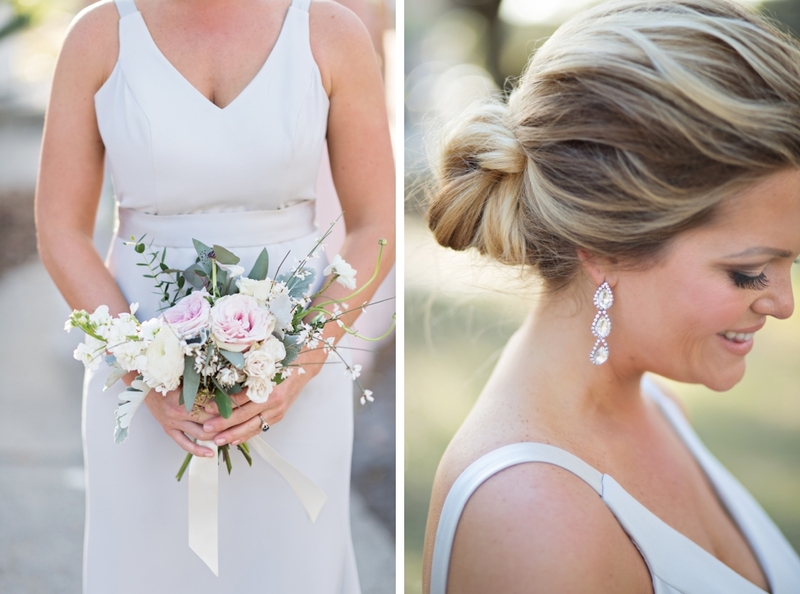 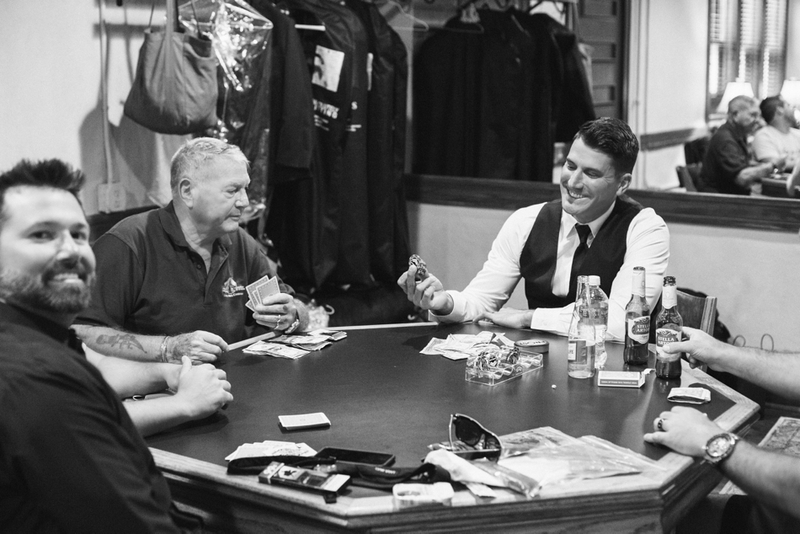 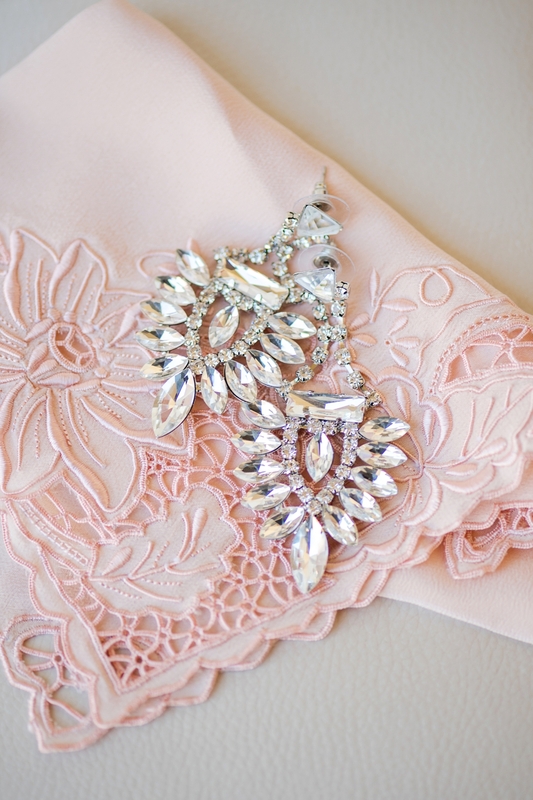 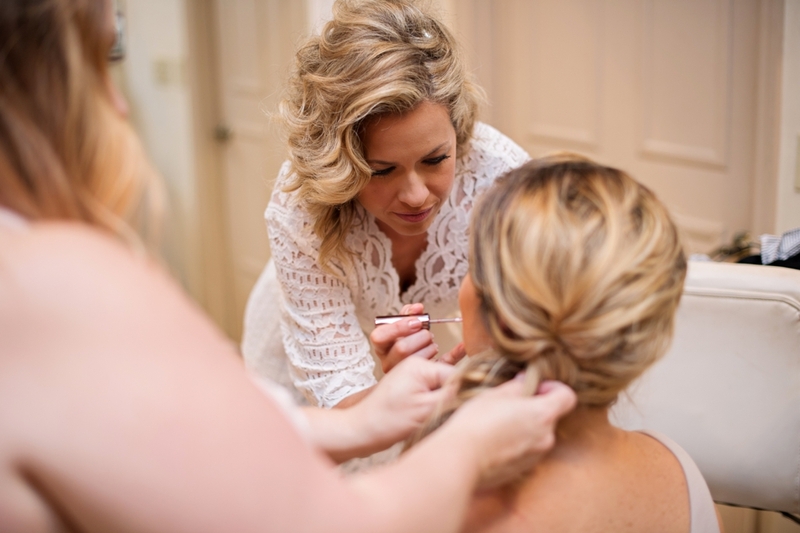 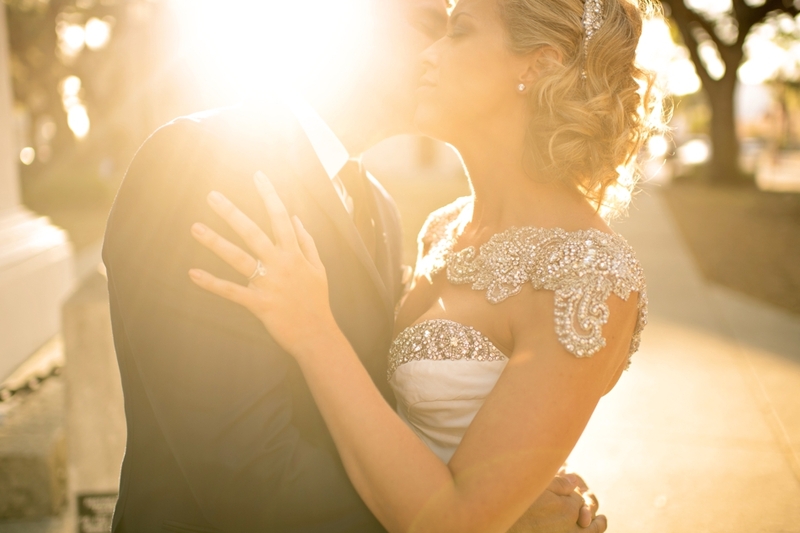 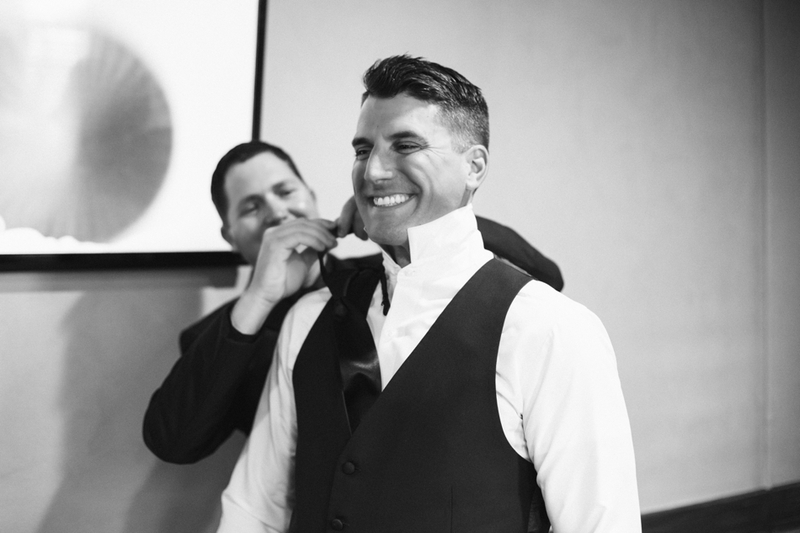 Gemma and Brett had an incredible wedding day and I got to work with some of my favorite vendors in St. Augustine! 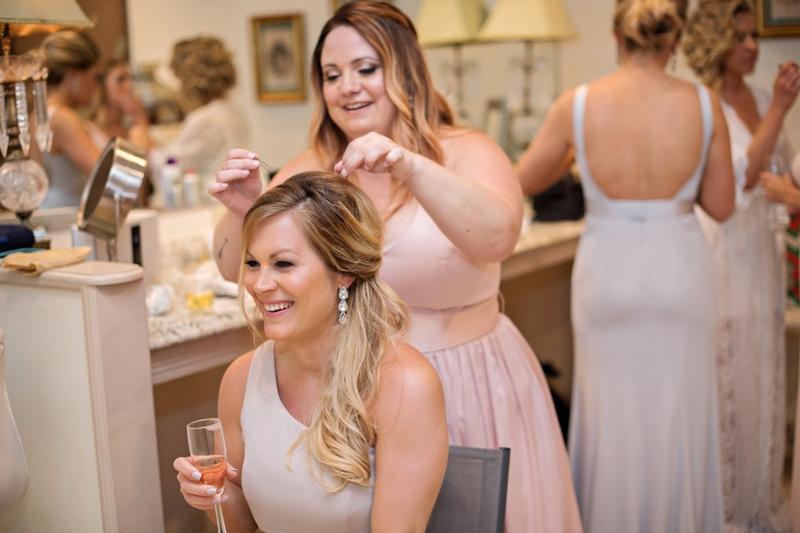 Dawn is an absolute dream to work with (planner at The Wedding Authority) and I always look forward to our weddings together! 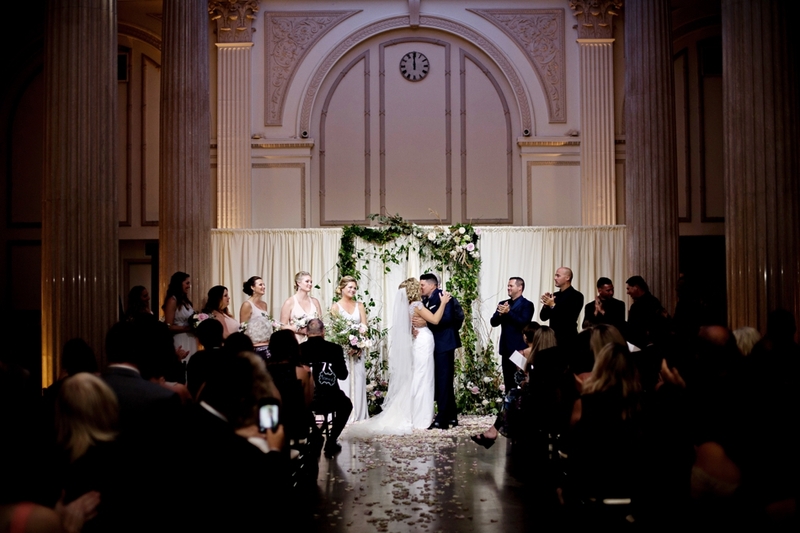 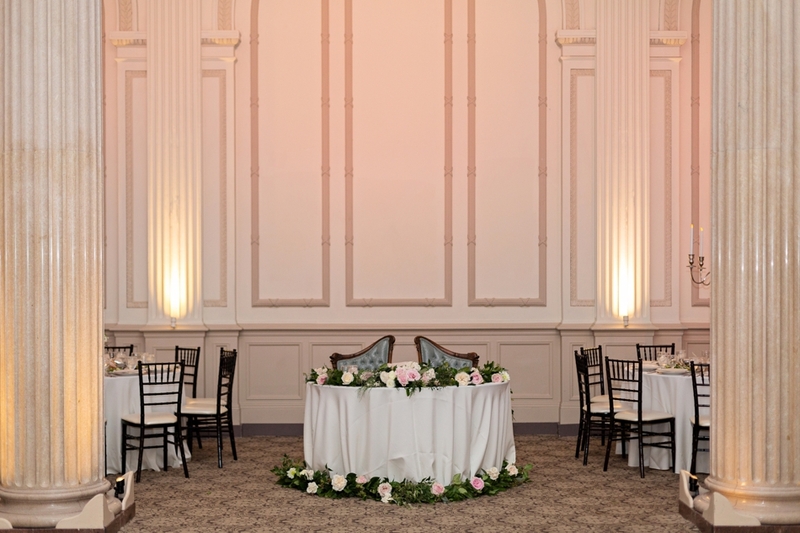 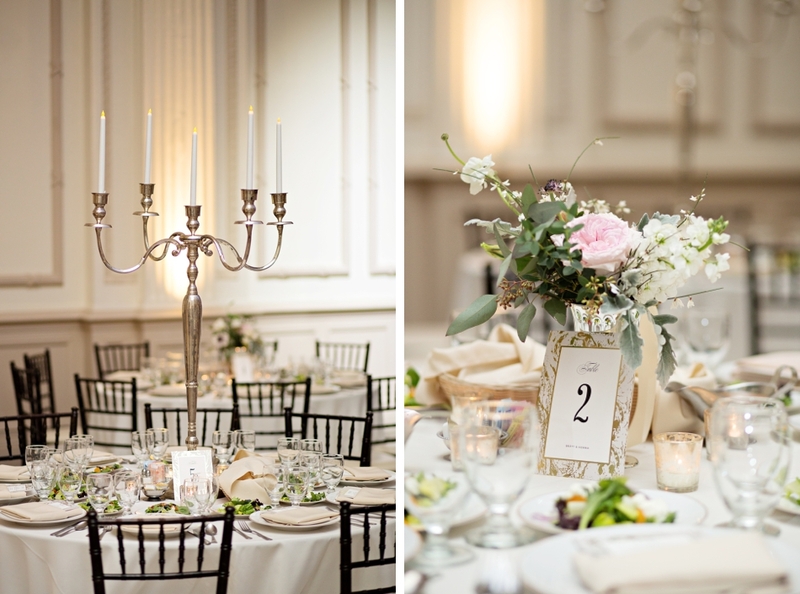 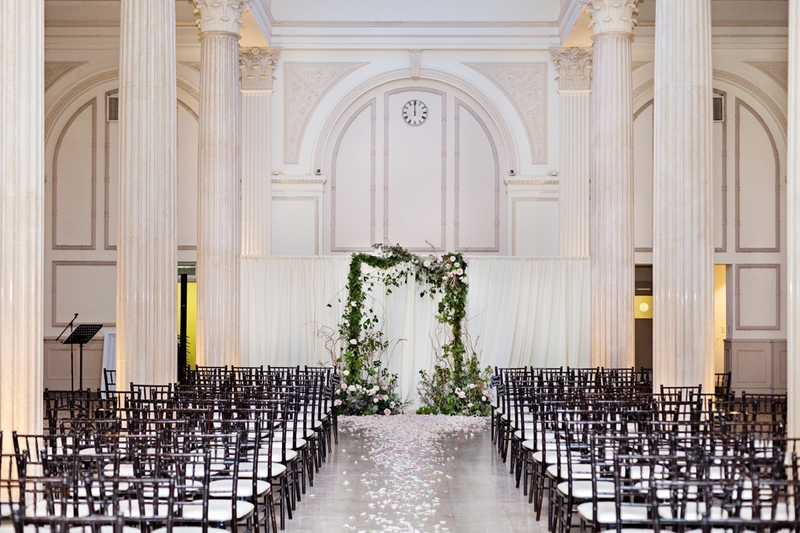 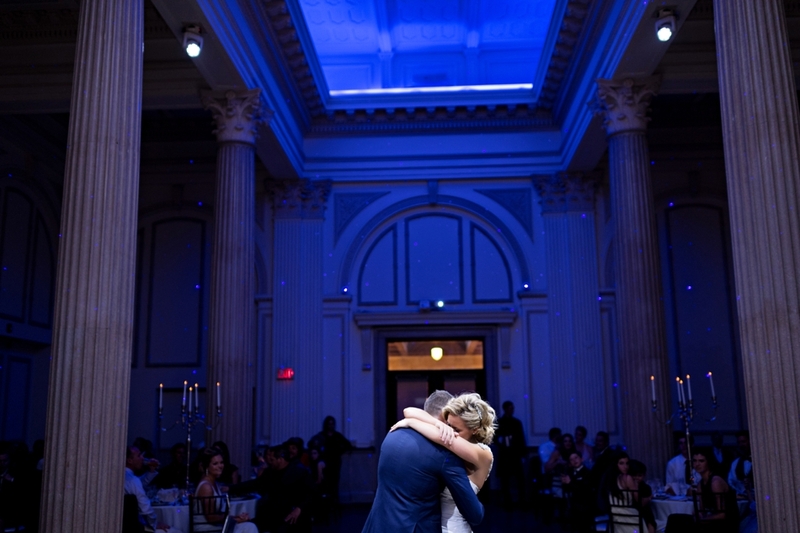 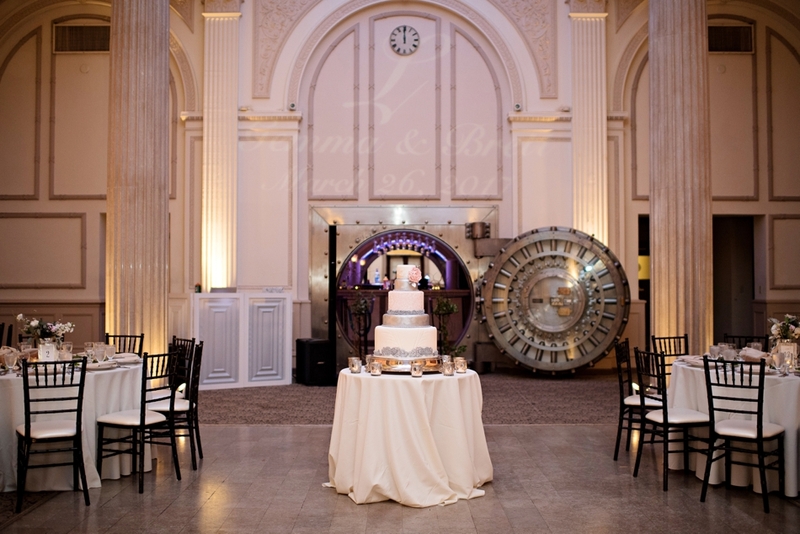 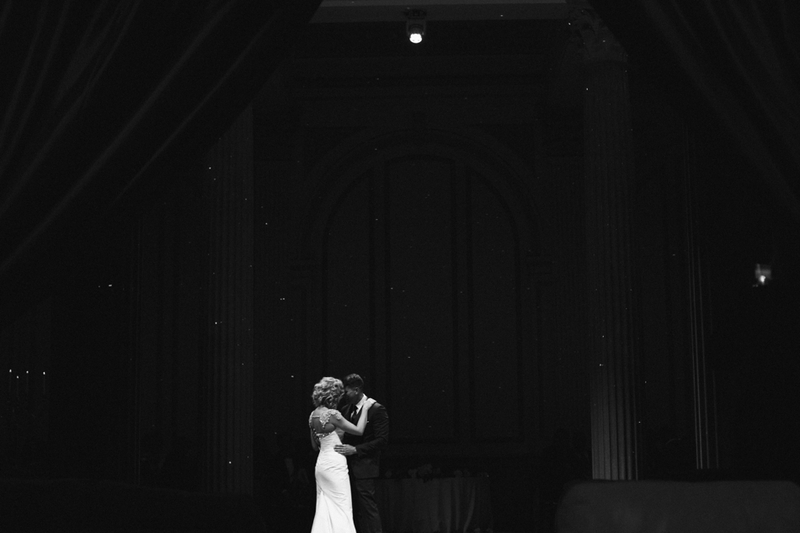 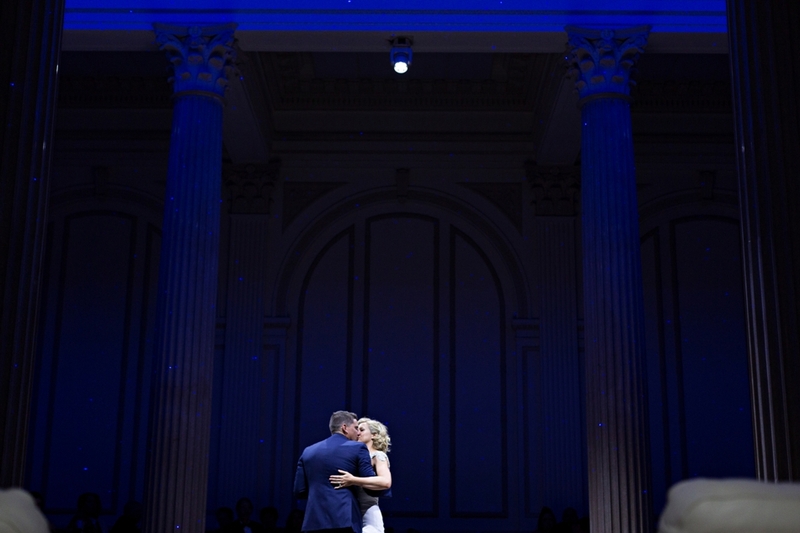 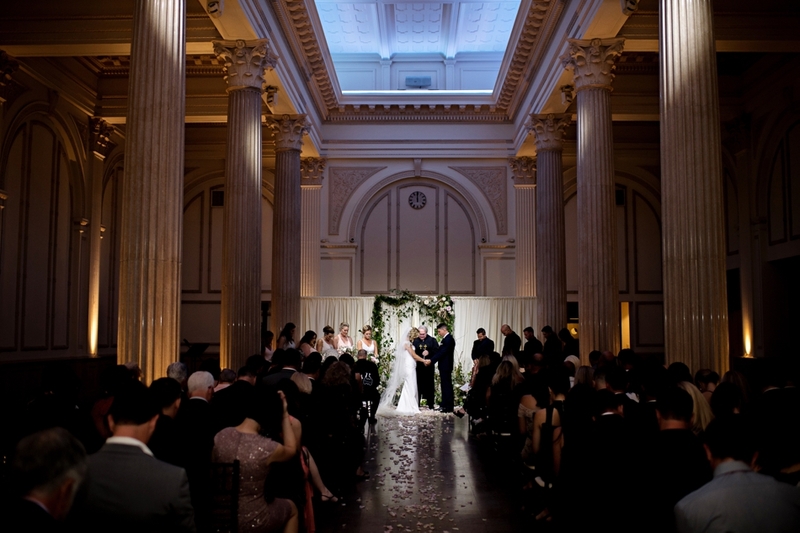 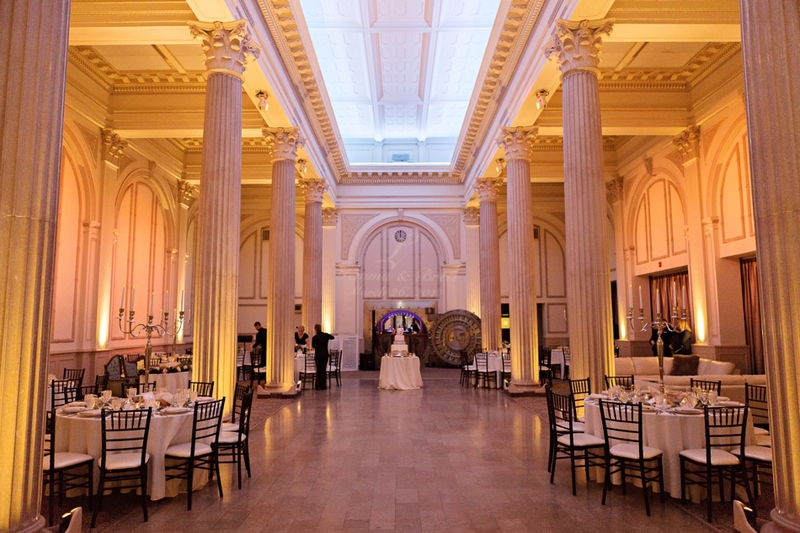 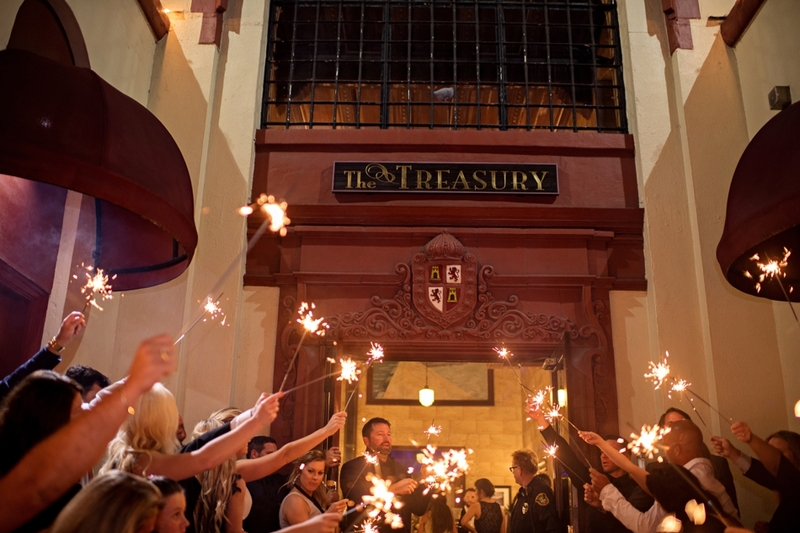 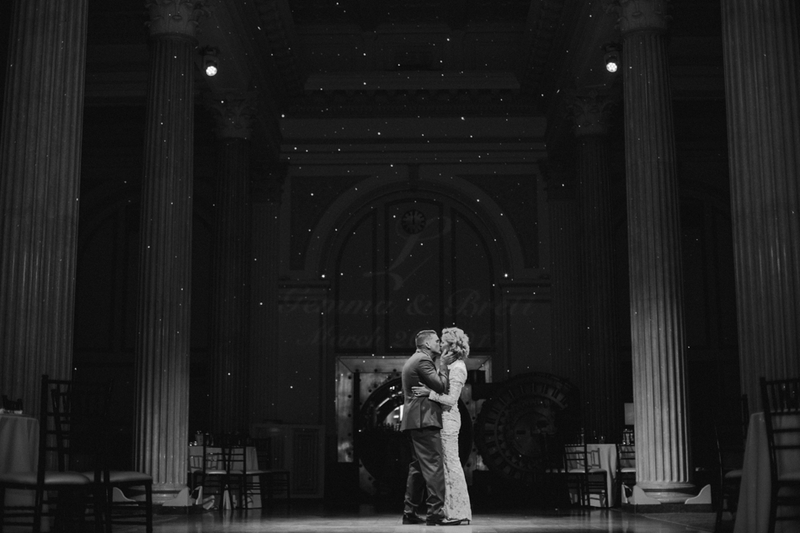 I love that they chose Treasury on the Plaza for their venue! 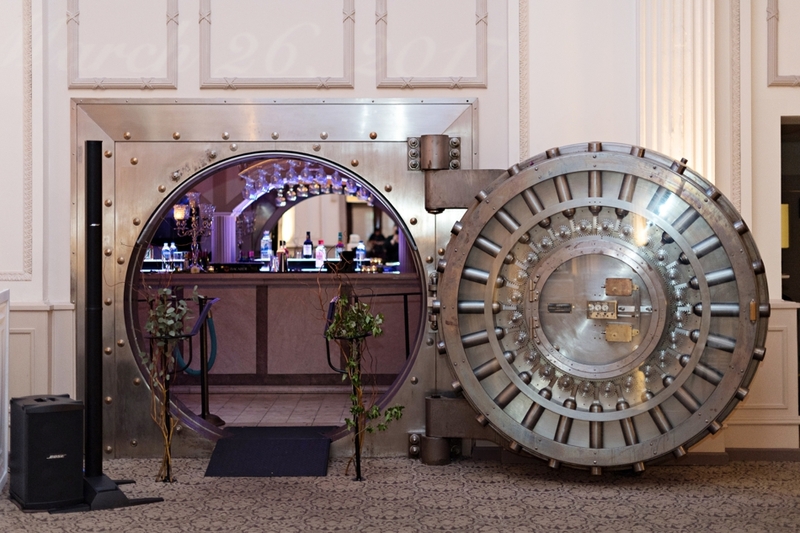 It’s an old bank vault that they’ve converted in to a bar and event venue! 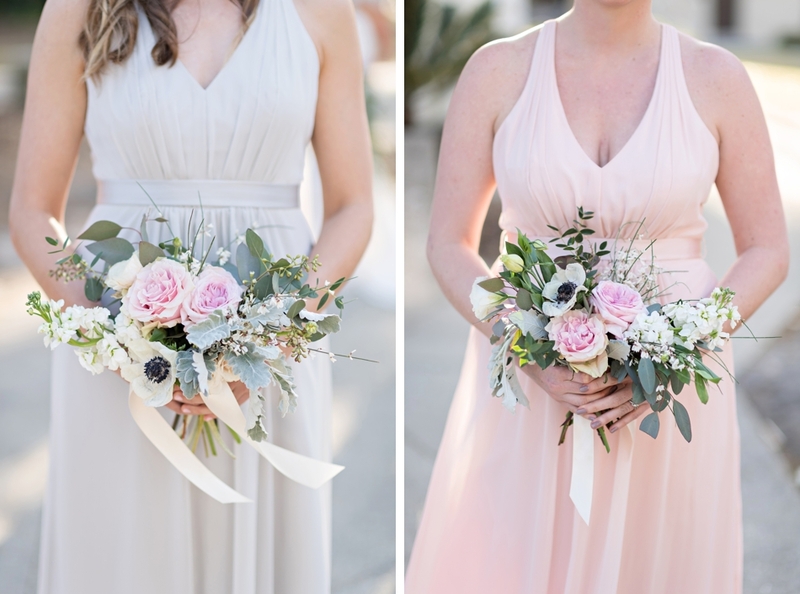 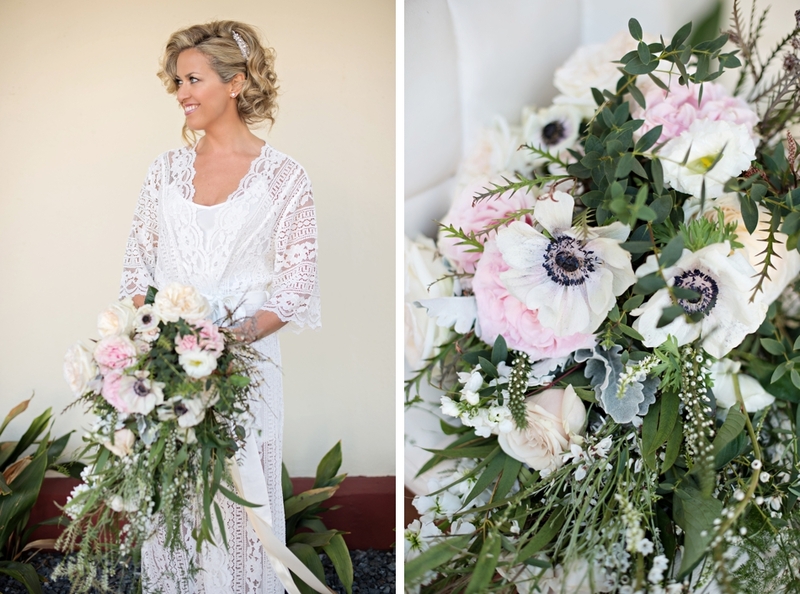 Gemma chose mixed pastels for the bridesmaids, and lush organically designed bouquets. 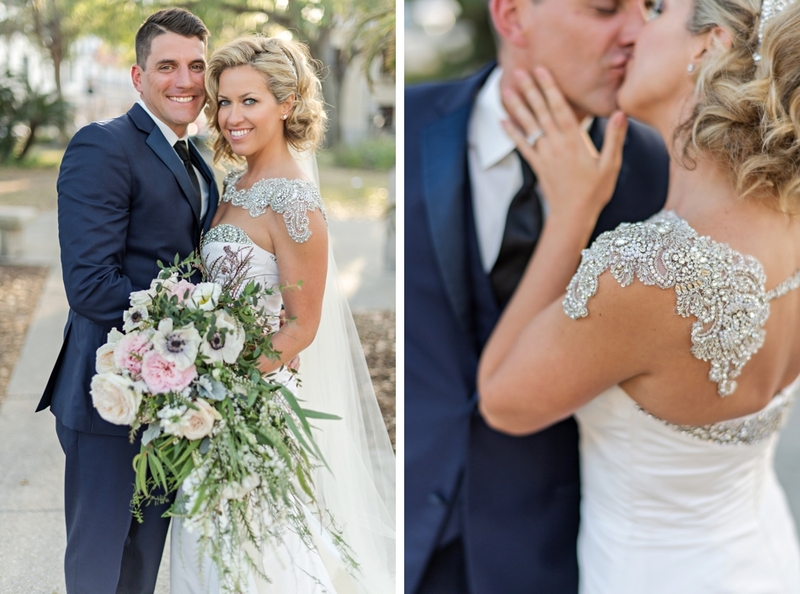 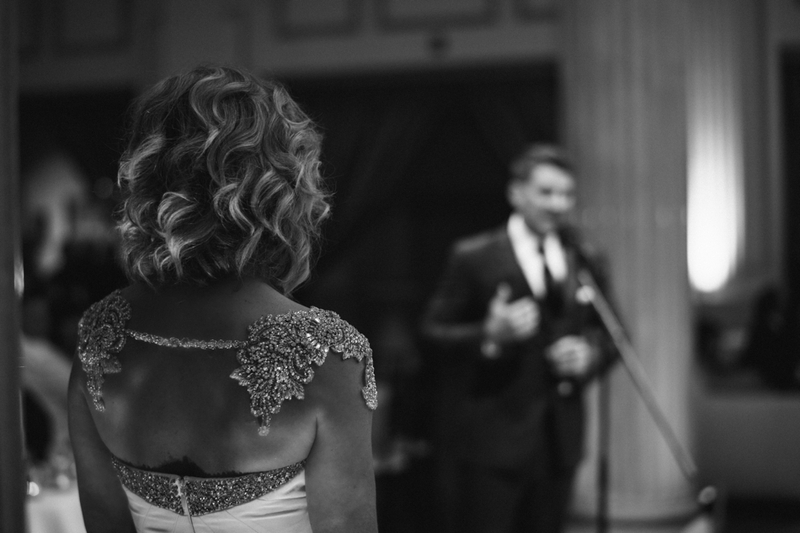 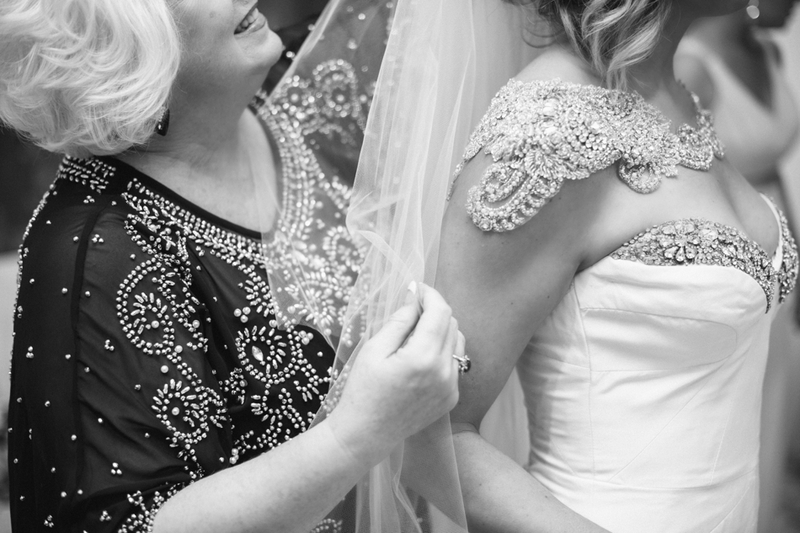 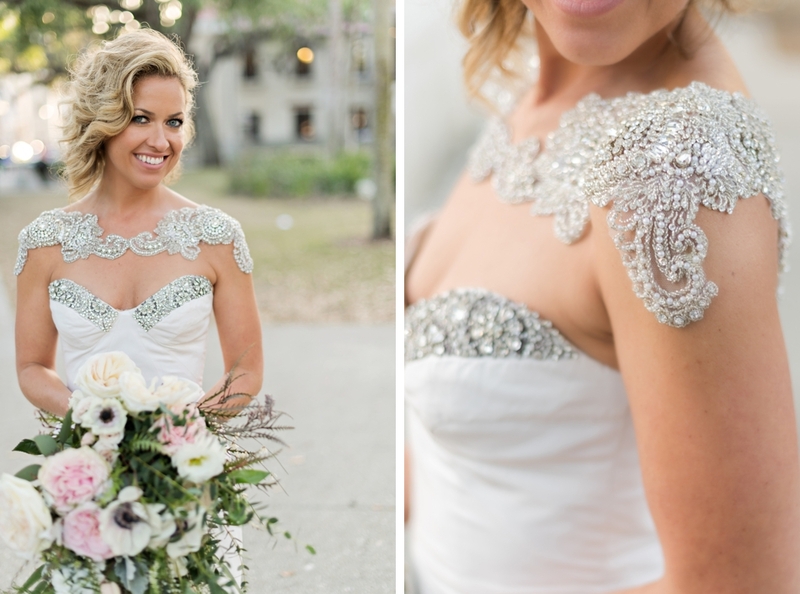 She chose a Nicole Miller gown with a stunning crystal shoulder detail – and I loved how the back looks like wings a little bit, too! 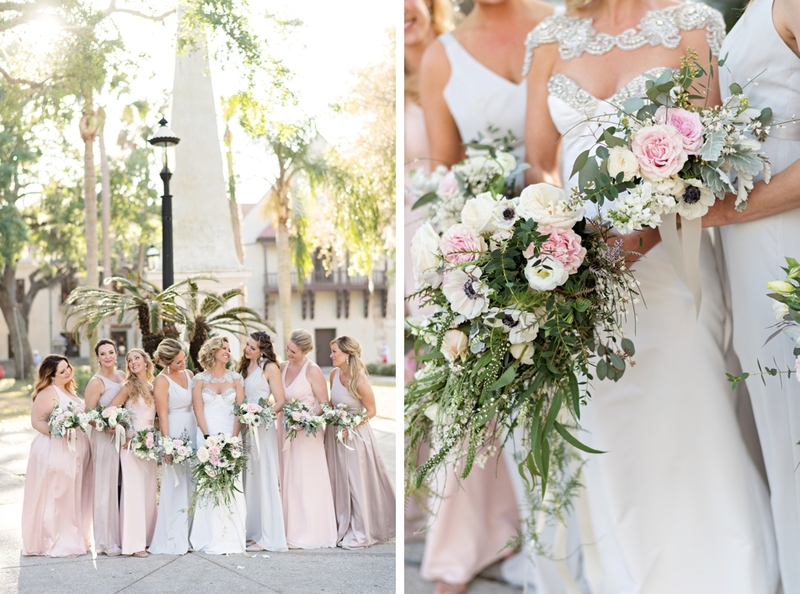 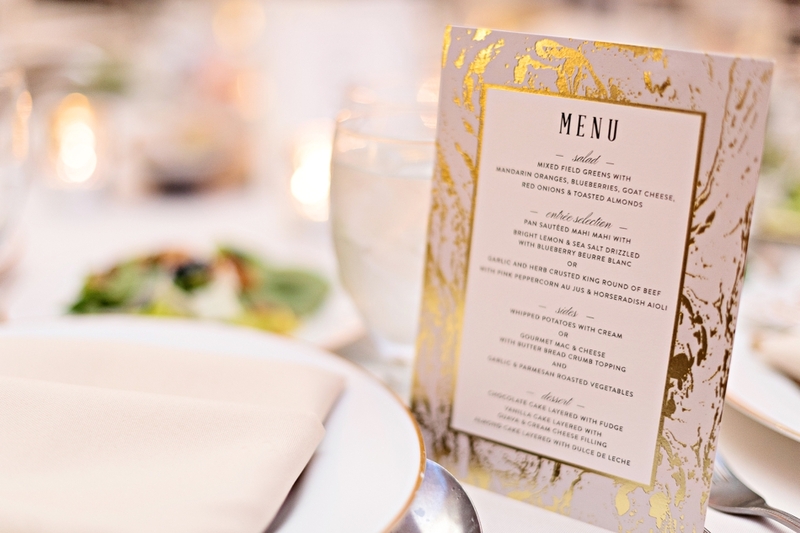 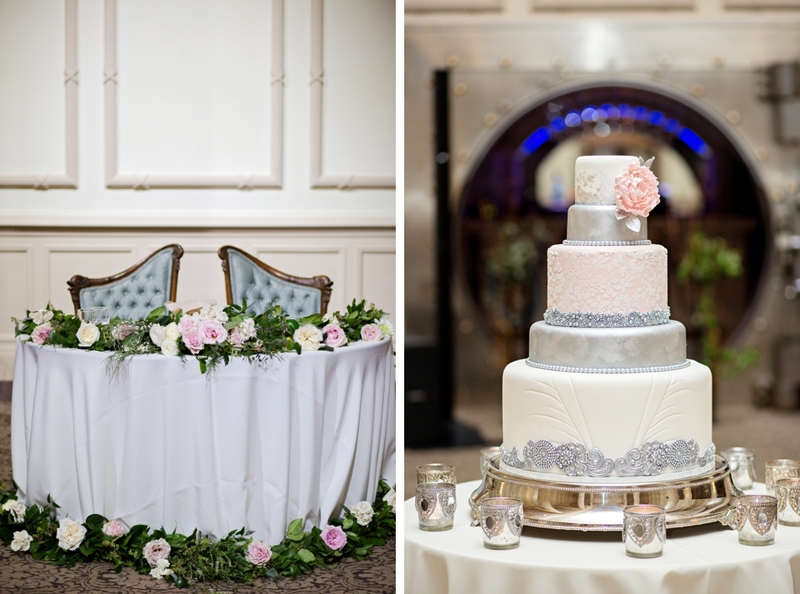 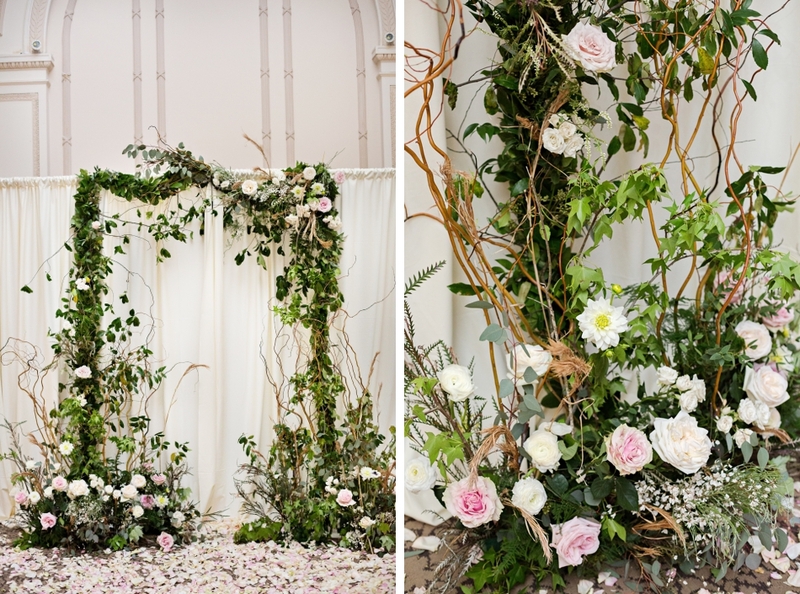 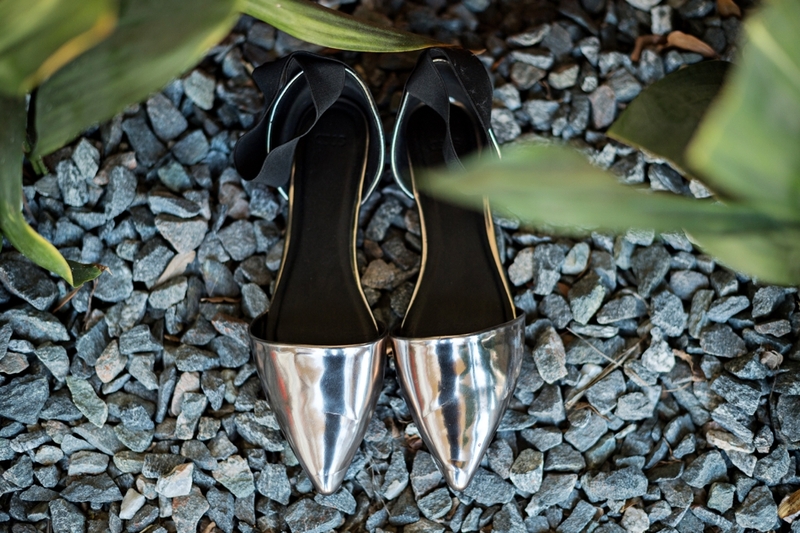 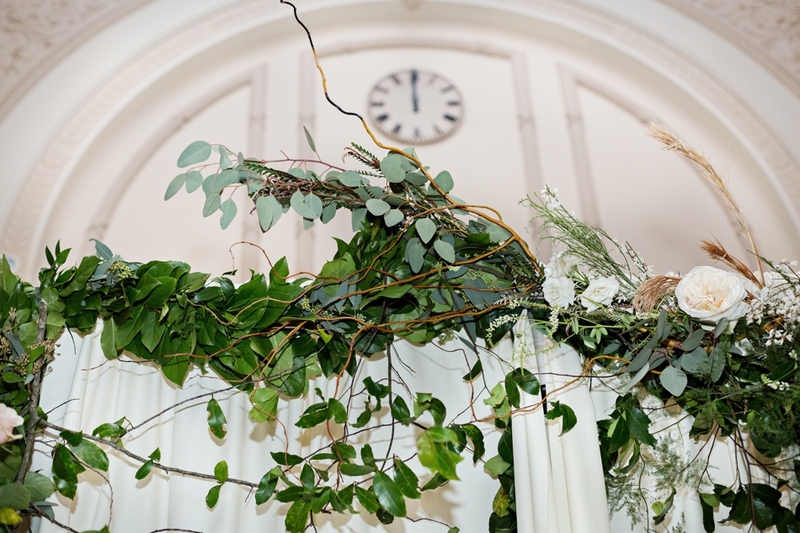 Mixing architectural details with a mix of metallics, and blending an editorial look with the softness of wedding pastels made for an incredible design for their day! 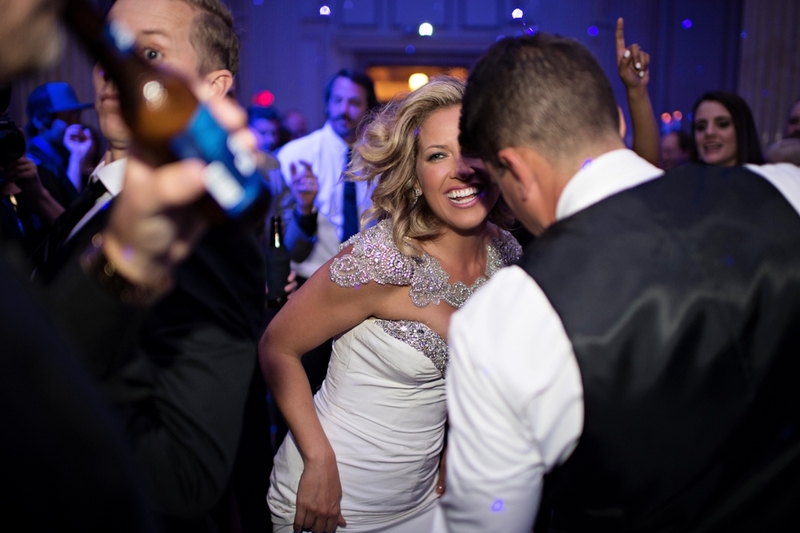 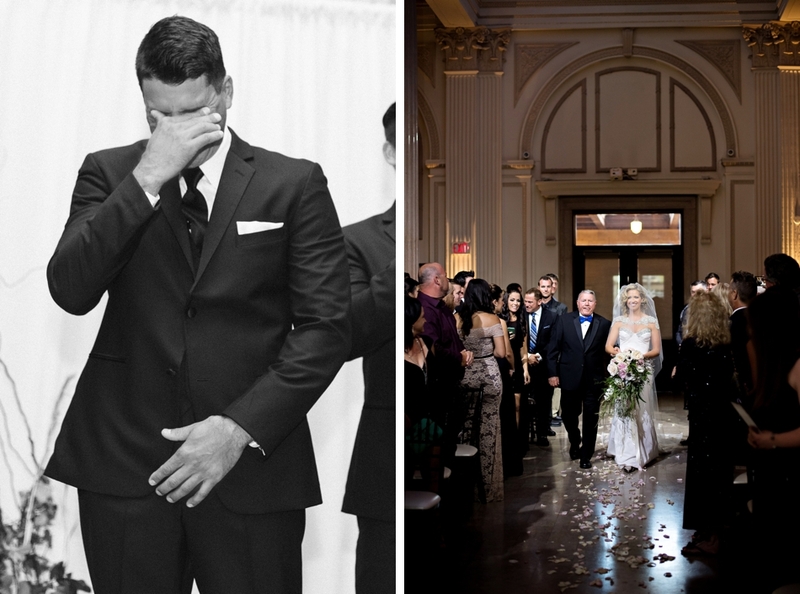 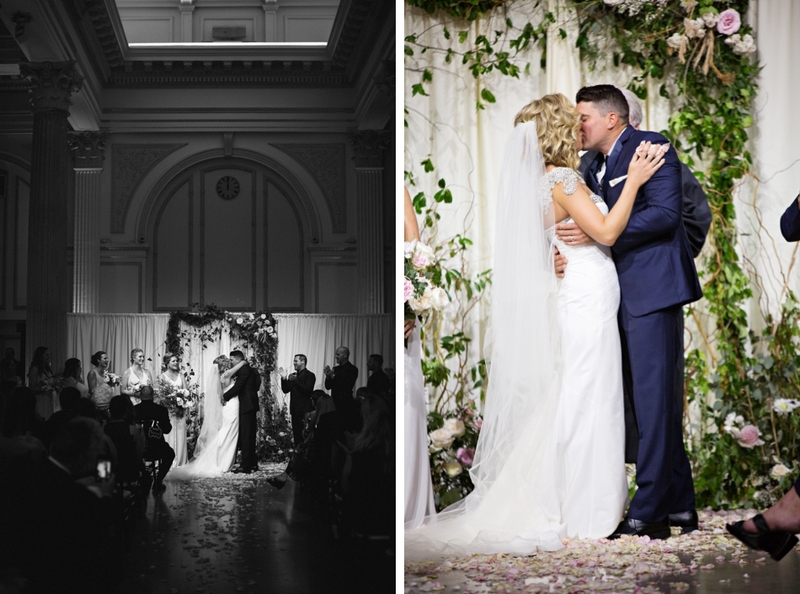 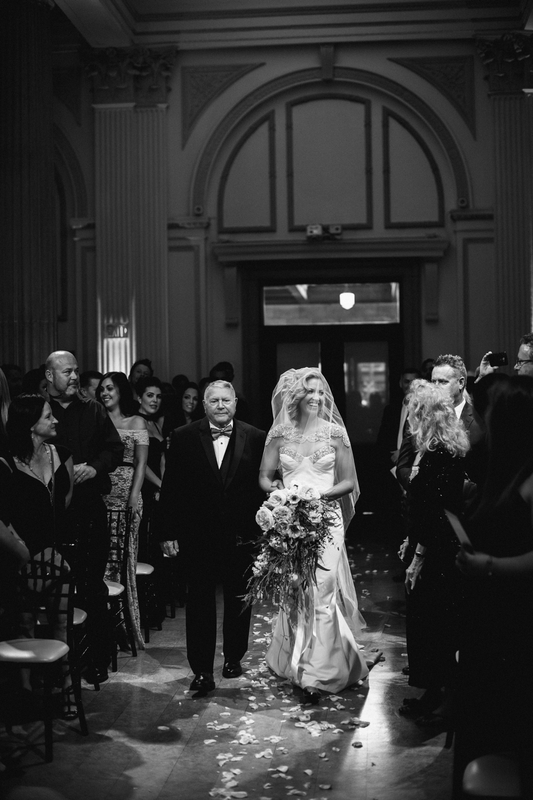 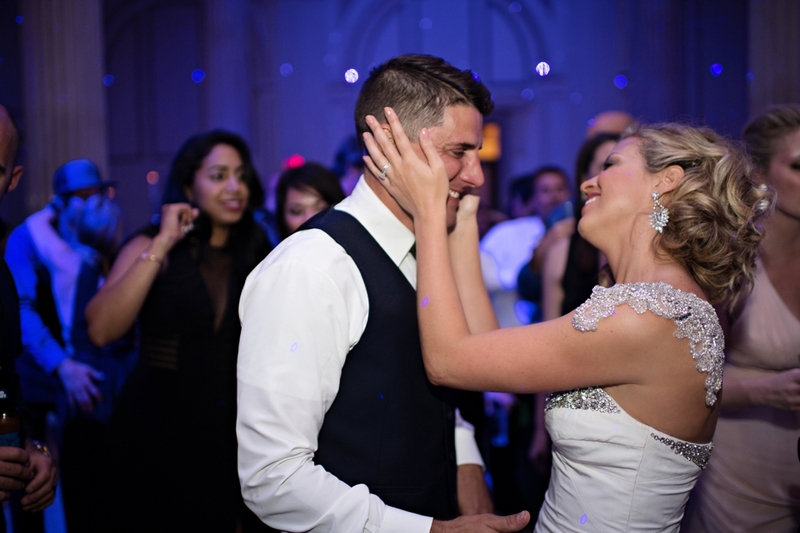 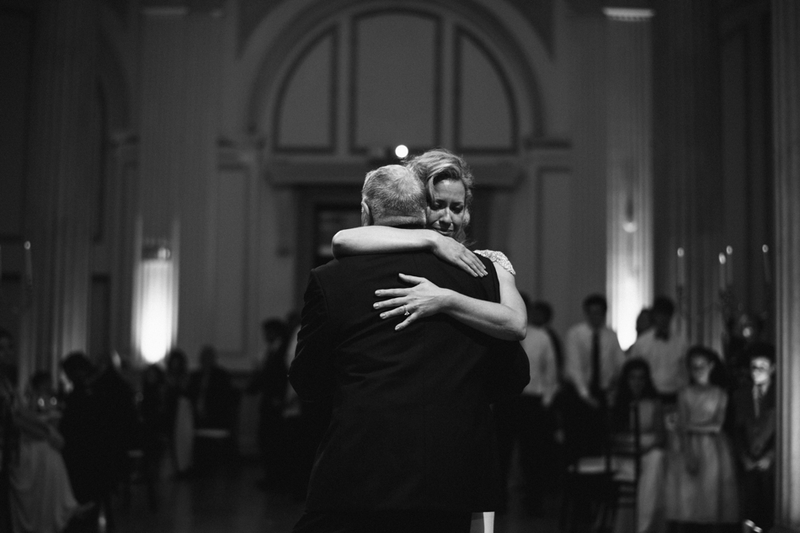 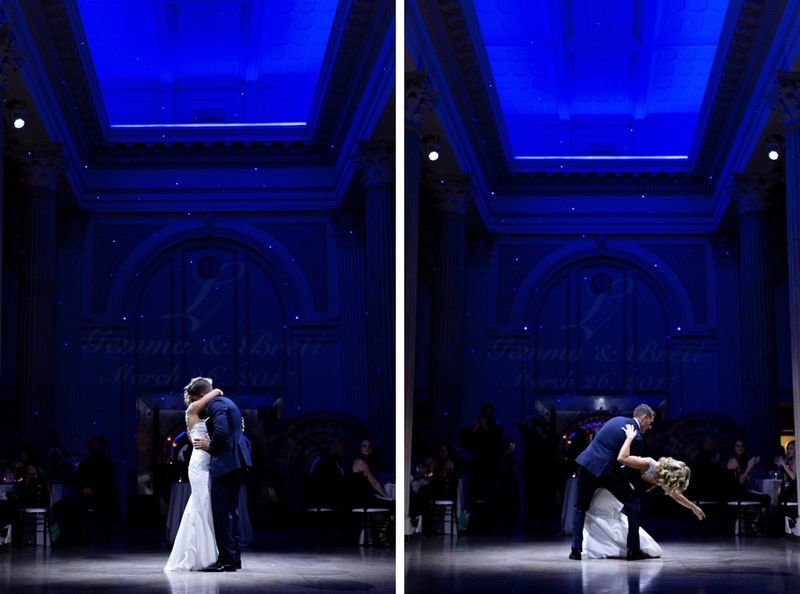 But the drama of the indoor ceremony and ballroom reception created an intense showcase of their love. 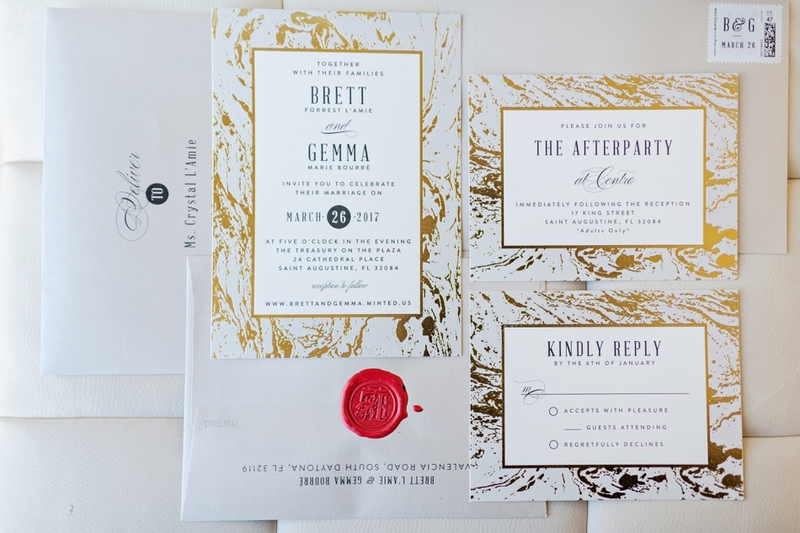 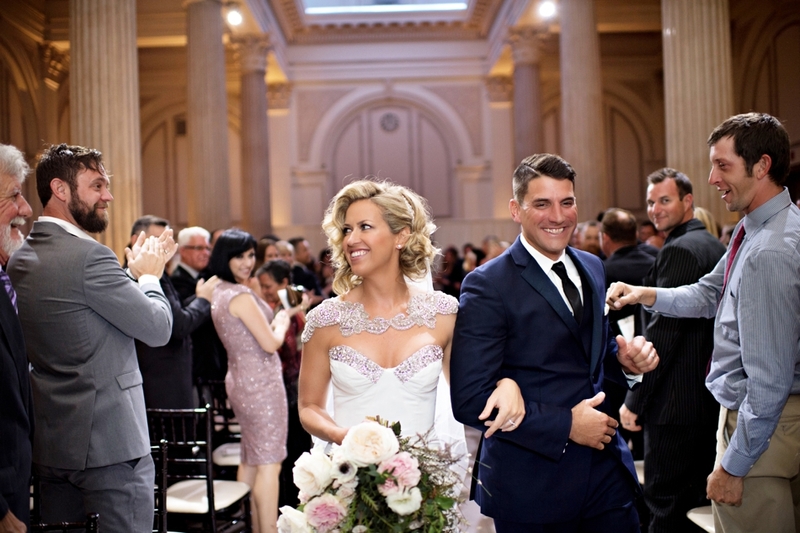 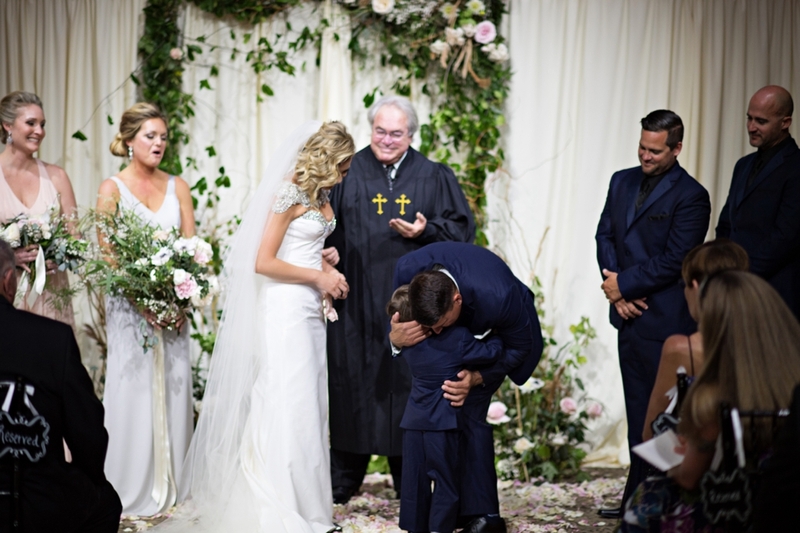 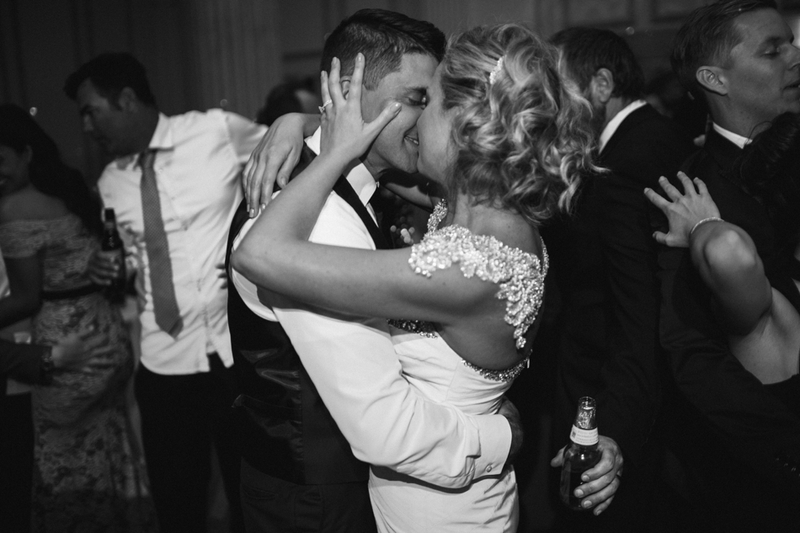 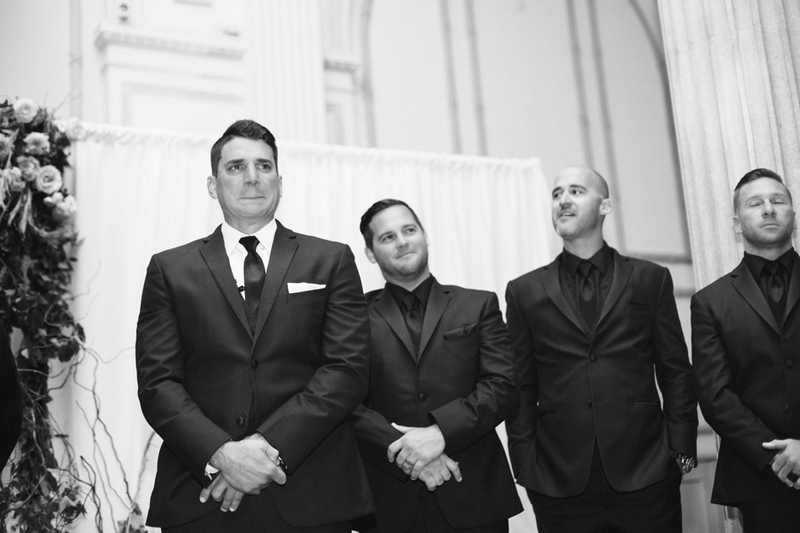 Incorporating Gemma’s 2 boys in the ceremony, it was truly a blend of family and love! 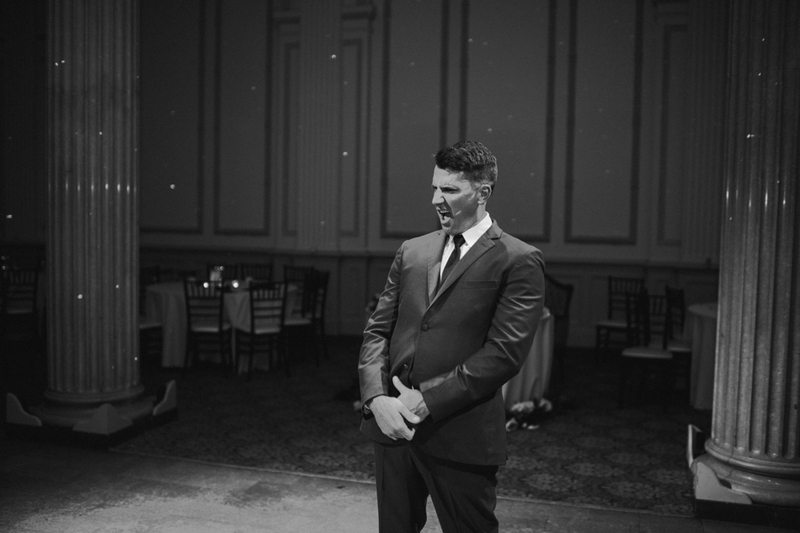 Be sure to check out their last dance! 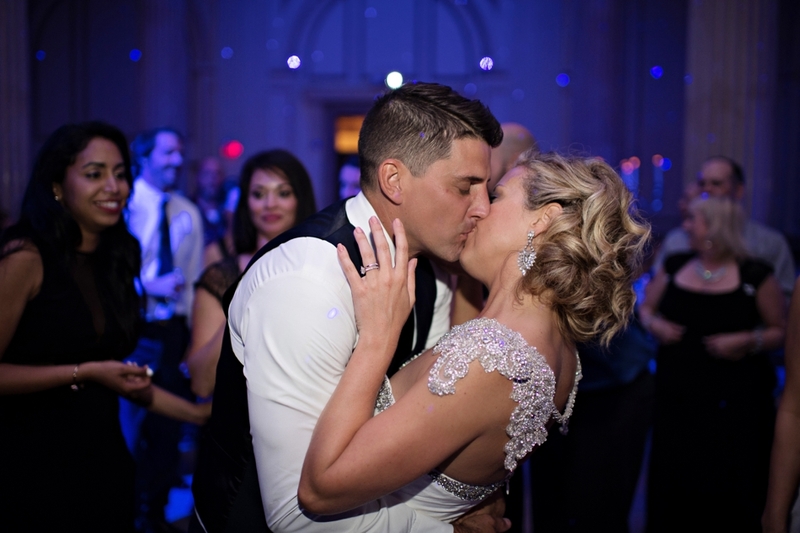 Gemma surprised Brett by changing in to an incredible white jumpsuit and they shared their last dance alone under the “stars”! 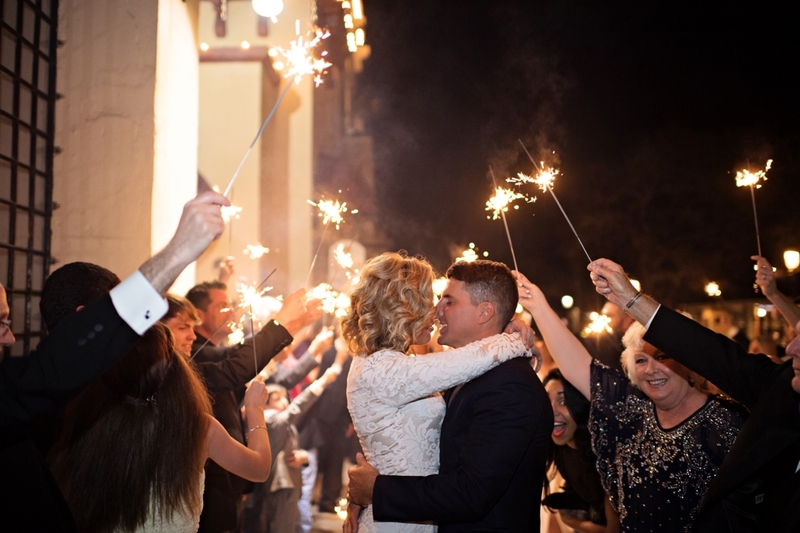 They finished off the evening with a sparkler exit before heading out to the after party! 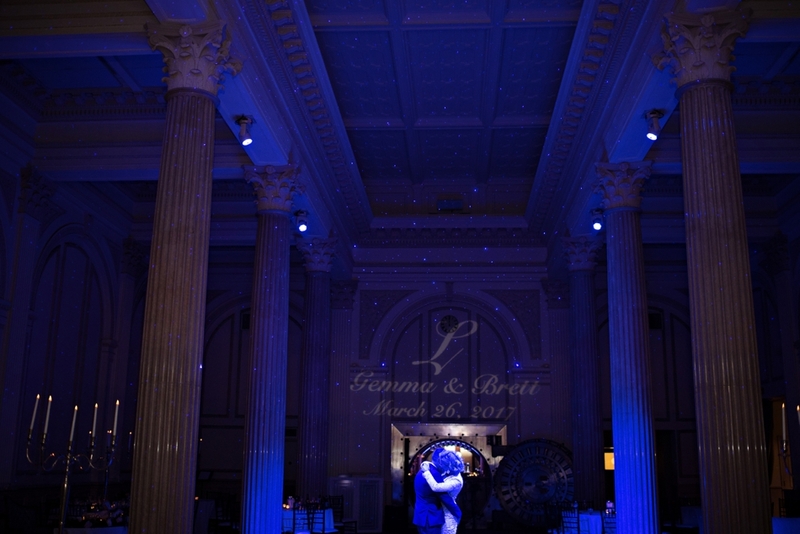 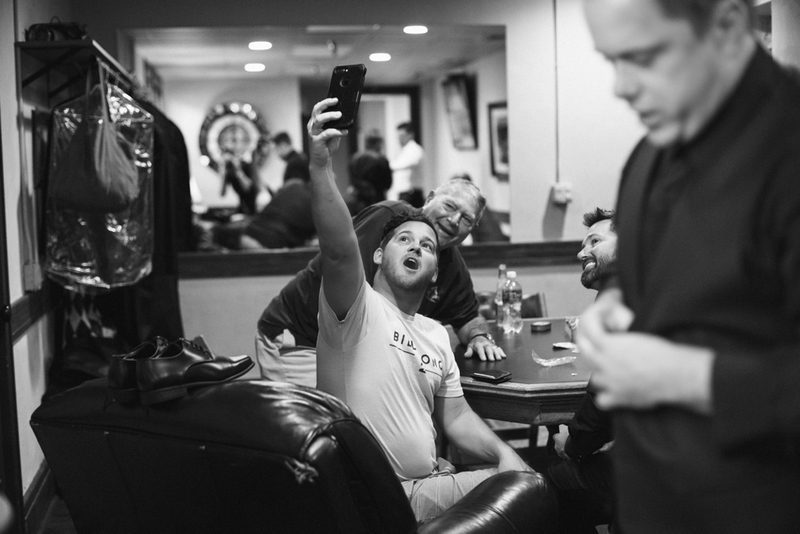 I am just in LOVE with Gemma and Brett and can’t thank them enough for putting so much confidence in what I do! 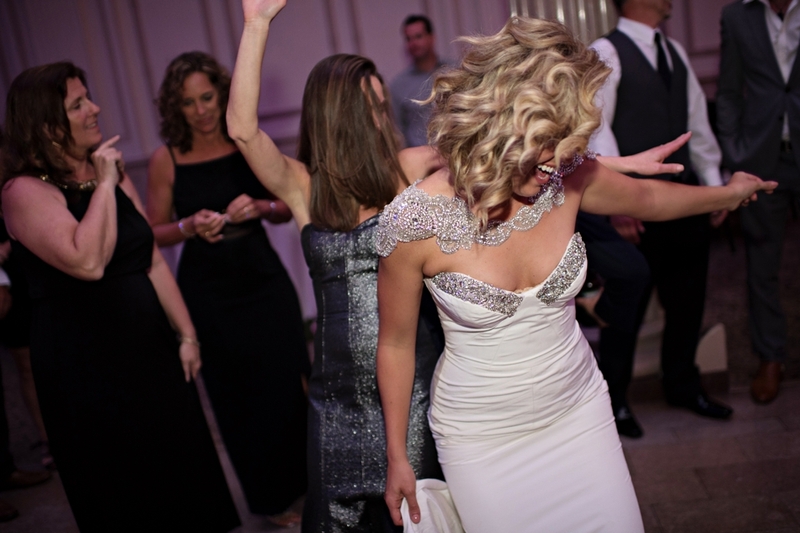 It was such a fun experience and I would do it again 100 times!